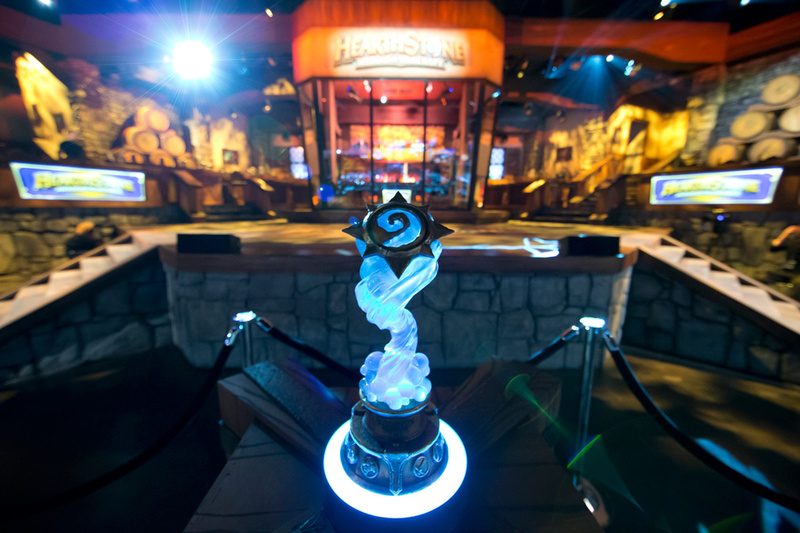 Watch the Hearthstone World Championship! The 2016 Hearthstone Championship Tour comes to a thrilling conclusion as 16 fierce competitors clash on the global BlizzCon stage. These champions have battled all year long and now face one final tournament to test their mettle, determination, and fortitude. Only one will claim the title of World Champion and its quarter-million USD first place prize! All of the Hearthstone World Championship details including the participants, casters, schedule, and more can be found below. The finalists below have all had a long journey this year to earn their place at the World Championship. Representing the Americas, Asia-Pacific, China, and Europe, they hope to win not only for themselves, but to bring the World Championship back to their home region. Who do you think has the heart to take it all? Choose Your Champion, cheer them on, and earn a pack from The Grand Tournament with each victory! Calling all of the action will be venerable host Dan ‘Frodan’ Chou, who will be joined by an alternating array of talented casting team duos: Simon ‘Sottle’ Welch with Alexander ‘Raven’ Baguley, TJ ‘Azumo’ Sanders with Brian Kibler, and Nathan 'ThatsAdmirable' Zamora with James 'Firebat' Kostesich. Check out who some of the casters are predicting will come out on top here! The Hearthstone World Championship begins with a double-elimination group stage during Opening Week, followed by a single-elimination bracket played out at BlizzCon. Each group consists of four competitors, one from each of our regions. Each match will be best-of-seven using the Conquest format with one ban. Players will each bring five decks to play per match and be able to ban one of their opponent’s decks. Players are allowed to resubmit their decklists between Opening Week and BlizzCon. The groups were seeded based on HCT Points with the top point-earner from each region placed in their own group and the rest of the groups being filled in order of the players’ regional seeds. BlizzCon Opening Week will take place between October 26–30 starting at 9 a.m. PDT each day and will encompass the group stage. Each day will feature four matches, with one match from each group. There will be a 30-minute pre-show before Days 1 and 2, and 15-minute pre-shows before the rest of each day. Tune in to all of the action on our BlizzCon page and discuss the tournament using the #HCT hashtag on Twitter and Facebook. Also, be sure to check out all of our other esports programming during BlizzCon starting this Wednesday with Opening Week!